Its's 12-12-12, and I haven't done any update yet for December. As expected the weather is still very cloudy and rainy. There were a few clear nights last week so once again I was out with my camera to take a few shots of this month's bright celestial highlights. In particular Jupiter, Taurus and Orion. The Bull and Hunter always appear in the East during the early evening in December. This year, they are accompanied by the largest (and second brightest) planet, Jupiter. 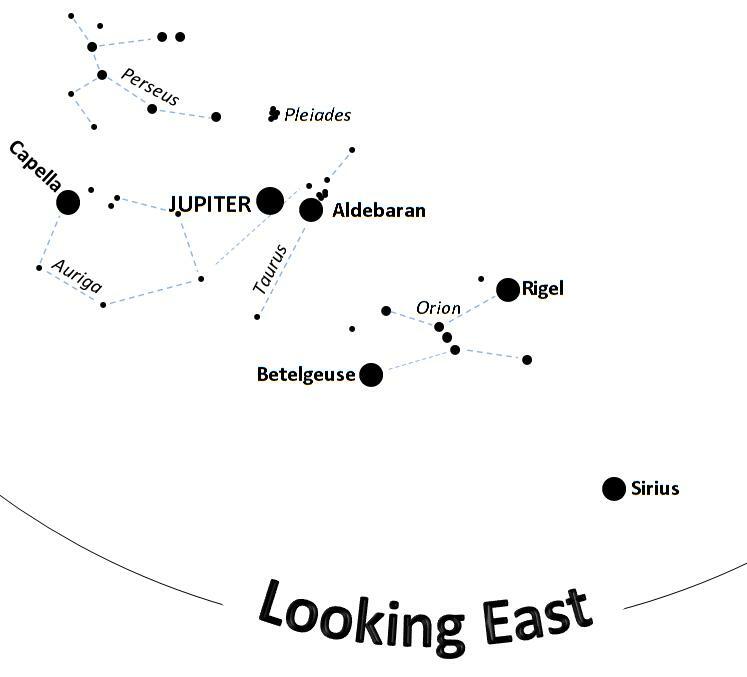 Over the next few weeks, Jupiter will slower move away from Taurus's bright star Aldebaran (the follower). Later in the evening and toward the end of the month, Sirius, the brightest star in the sky will also appear, shining brightly south-east of Orion. December is usually a good month for watching meteors/shooting star, with the Geminids meteor shower peaking around 13th-14th December (this week in fact!). With an expected high rate of meteors and no Moon in the night sky, its bound to be the best shower of 2012. 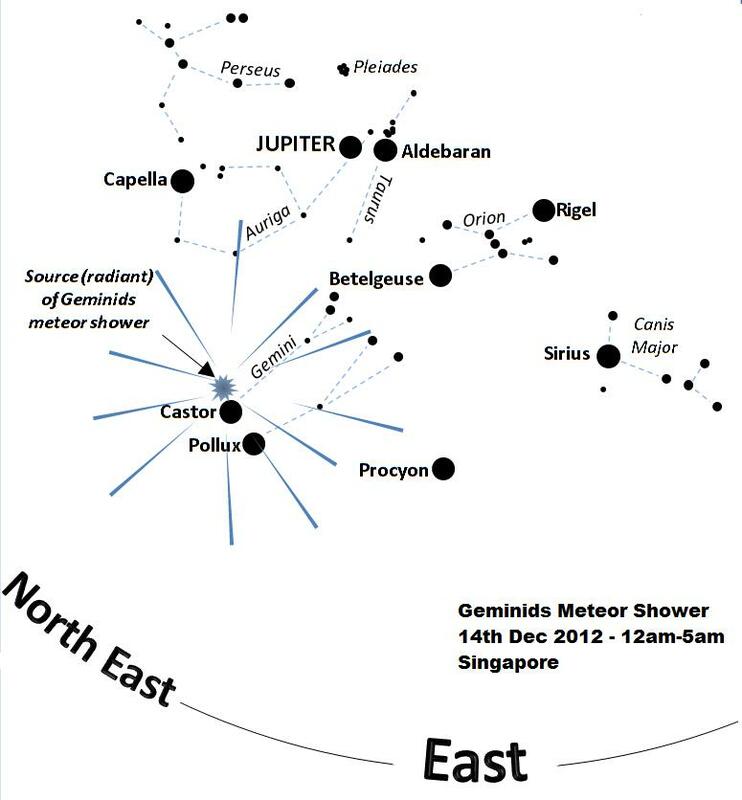 However, in a bright city like Singapore, in the middle of the rainy season, the chances of seeing any shooting stars are significantly reduced, oh well. If we get a clear night sky of the next few days and you stare at the sky for a few hours after midnight it will increase your chances. Other things happening this month include, Venus and Saturn still there in the early morning around 6am-7am towards the East. Mercury is there too but low altitude makes it very difficult to spot in the usual morning hazy. 21st December is southern solstice, which makes the southern most position of the Sun in the sky. Southern hemisphere countries will also experience their longest daylight hours, while the north has the shortest daylight hours. More on this in a future post. 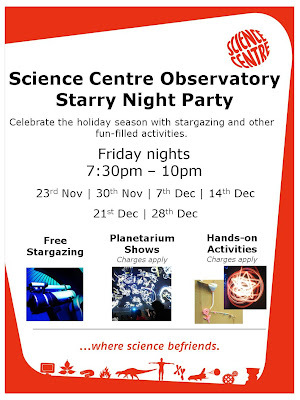 We'll be observing the Moon at SCOB on Friday 21st Dec & Friday 28th Dec. Finally, our school holiday activities are still available and going strong at SCOB every Friday evening this month. During the past few weeks the planetarium has been the most popular activity, with light painting a close second. We also have a few items, such as astronomical 3D postcards, for sale. Surprisingly, the astronaut ice cream as been an unexpected hit. Occasionally, we have a few visitors pop by, who appeared to have lost their way. 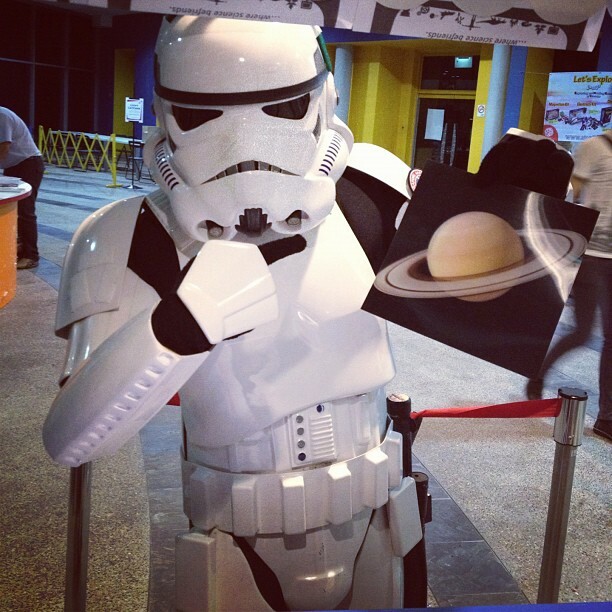 For instance, this guy, who kept asking about some rebel base???????? ?